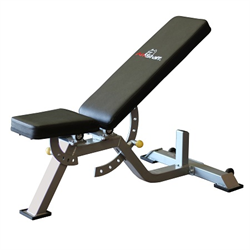 With a quick adjustment, this ramp modifies your incline allowing you to focus on specific muscle groups. Target your glutes, quads, and calves for focused training. Have you ever wondered what it's like to run in Barcelona? Just press start. Download a Google Maps™ route or create your own. 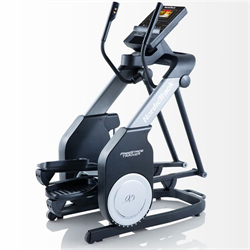 This Compatible* elliptical automatically adjusts the incline to recreate trails, from Mongolia to Ecuador. 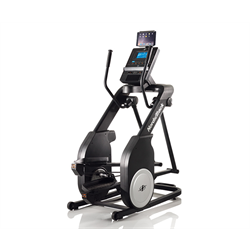 When you step on the pedals of a ProForm elliptical, you get instant access to professional training programs fully loaded and ready to go. 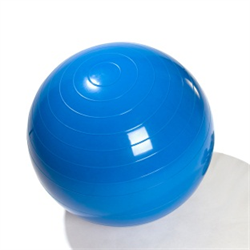 Now you can enjoy a challenging workout focused on your goals. Just press "Start" and you're off. 20 Digital Resistance Levels Digital resistance allows you to adjust your workout resistance for increased calorie burn and higher intensity. SpaceSaver® Design Fold it up and walk away–in one easy step. 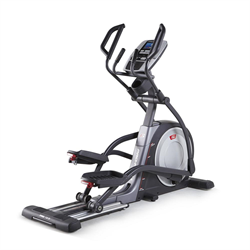 With our SpaceSaver® elliptical you free up precious floor space. Because when you're done, you're done. EKG™ Grip Pulse Maximize your workout with the ultimate tool: heart rate training. A built-in, dual-grip monitor keeps you in your target zone for better, faster results. 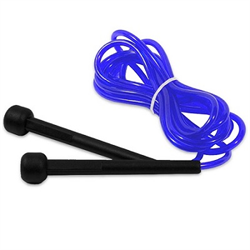 Soft Touch Upper-Body Grips Get a total-body, low-impact workout with upper-body workout arms. 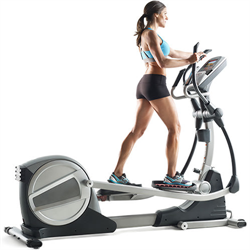 Elliptical training engages your entire body, which tones more muscle. 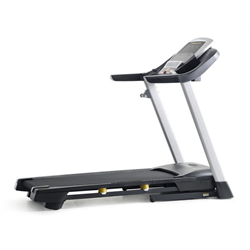 0 - 10° Power Incline With a quick adjustment, this ramp modifies your incline allowing you to focus on specific muscle groups. Target your glutes, quads, and calves for focused training. Adjustable Oversized Pedals Feel secure when you step into our oversized pedals. 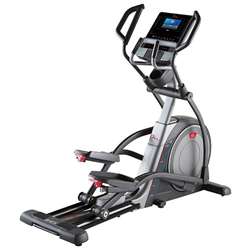 With several foot position options, you can settle in for a great workout and enjoy great traction control. AC Adapter Included Plug in this wall adapter to power your console electrically if you prefer not to use batteries. 5" Backlit Display We made sure your workout stats are right in front of you as you work out. That means you can watch your mileage, speed, calorie burn, heart rate, and time add up. 300 Lb. 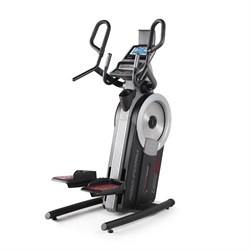 Weight Capacity This elliptical accommodates up to 300 pounds. 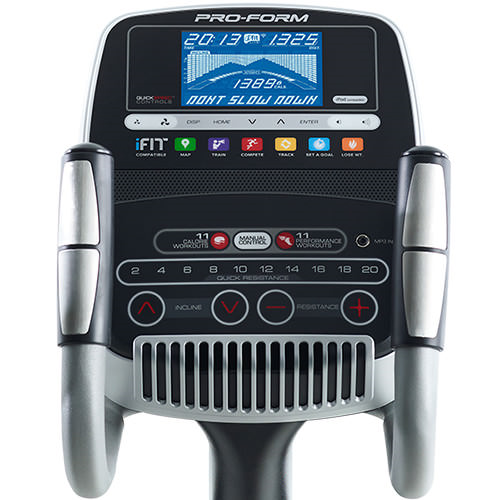 22 Workout Apps When you step on the pedals of a ProForm elliptical, you get instant access to professional training programs fully loaded and ready to go. iPod® Compatible Audio Move to the beat of your favorite music with this built-in sound system. Plug your iPod® into the Intermix Acoustics™ 2.0 Sound System and rock out with your favorite power music. *iPod® is a trademark of Apple, Inc., registered in the U.S. and other countries. iPod® not included. 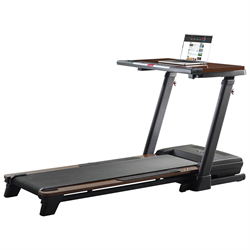 CoolAire™ Workout Fan Keep cool while you drop the pounds with this built-in fan that features two speed settings. Quick console controls allow you to adjust the speed at any time. 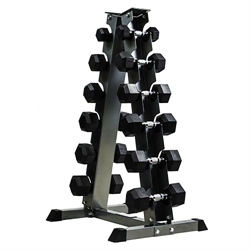 SMR™ Silent Magnetic Resistance This smooth, frictionless resistance system allows you to adjust your workout intensity without interrupting your workout. 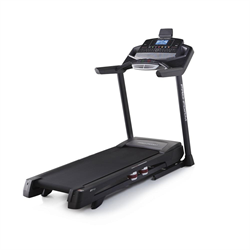 Warranty The ProForm® Smart Strider 735 Elliptical is protected with a Lifetime Frame Warranty, 2-Year Parts Warranty, and 1-Year Labor Warranty. 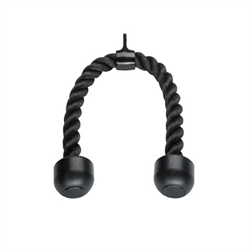 Water Bottle Holder Stay hydrated throughout your workout by keeping your water bottle close. This convenient water bottle holder is built into the elliptical for easy access. iFit® Compatible Customize your training with unlimited workouts designed by certified personal trainers. This ever-growing workout library offers programs that progress with you. 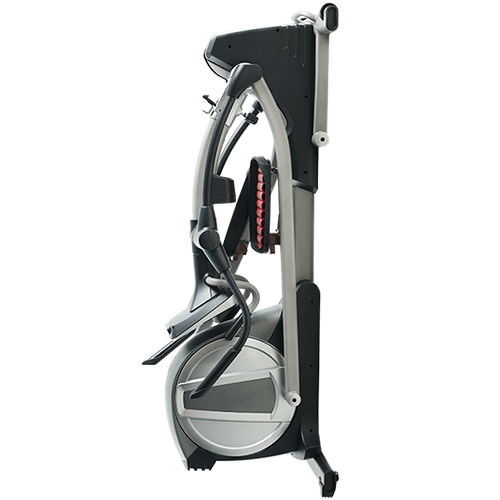 Transport Wheels Moving this elliptical out of the way is fast and easy with the rear-mounted wheels. 18 Lb. Effective Flywheel Experience a smooth, steady stride with the flywheel made to perform. 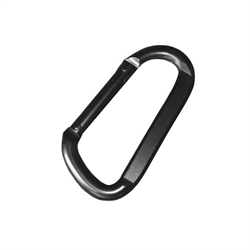 Commercial-Grade Steel Construction Made from commercial-gauge solid steel, this machine is built to last. 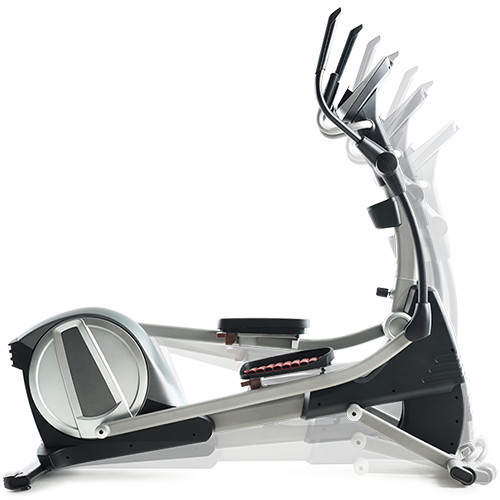 Out-of-Box Easy Assembly Assemble your elliptical in minutes and get on your way to fitness. 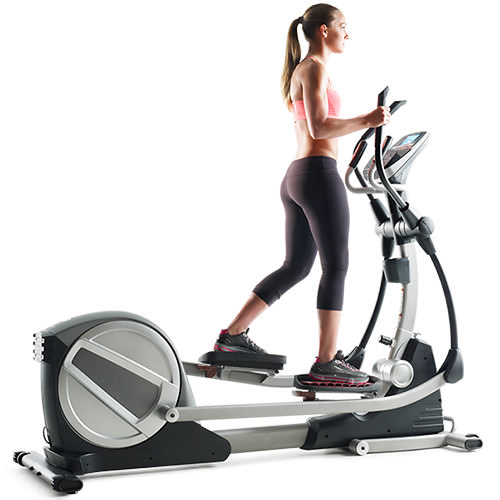 With just a few simple set-up steps, your elliptical is out of the box and ready to use right away. Oversized Levelers Keep your elliptical stable on an uneven surface with these adjustable leveling feet.